How to Talk Like You’re on BillionsThe people behind the show with the most distinctive voice on television reveal what makes the dialogue on Billions so … Billions-y. No Billions Quant Is Fully Dressed Without an Axe Cap Fleece VestHow the show’s costume designer picks outerwear for the Billions boys. What’s New on Showtime: March 2018If you love Al Pacino gangster movies, don’t miss Carlito’s Way. Billions Season-Finale Recap: Worth It“Ball in Hand” is a brilliant end to an excellent season. Billions Recap: Even the LosersThe fallout from Chuck’s big move in “Golden Frog Time” will be catastrophic. Billions Recap: The Golden ChildAre Wendy and Chuck really back together? Billions Recap: Rocking With the MaraudersThe self-destructiveness of both Axe and Chuck, and its consequences, is on display. Billions Recap: The Bull Who Gets All the CowsChuck’s power grows and Axe’s fixation on the Sandicot deal further consumes him. Billions Recap: Agents of ChaosAxe and Chuck face major turning points in their careers. Billions Recap: Reaching DétenteChuck Rhoades wins a lot in “Indian Four,” but he loses what matters to him most of all. Billions Recap: Tears in RainChuck and Axe have their first meeting since the end of last season. Billions Gets Season-3 RenewalAnother season of making money happen. Billions Recap: The Big SlickA lean season continues its wonderfully streamlined pace. Billions Recap: A Calculated Risk“Dead Cat Bounce” introduces a lot of new faces to Billions. Billions Season-Premiere Recap: Jump Into the FireThe second season of Billions is off to a strong start. Enjoy the Pop Culture of 2016 the Steven Soderbergh WayThe director recounts every single thing he watched and read in the last year. Billions Season 2 Trailer: Law Versus Money Has Never Looked So MenacingFortune. Favors. Yellow Italian sports cars. What Showtime’s Billions Owes to VineRIP, you delightful looped videos. Billions Was a More Fascinating Show in Its Second HalfI bailed on Billions after the fourth episode, and I’m (mostly) glad I revisited it. 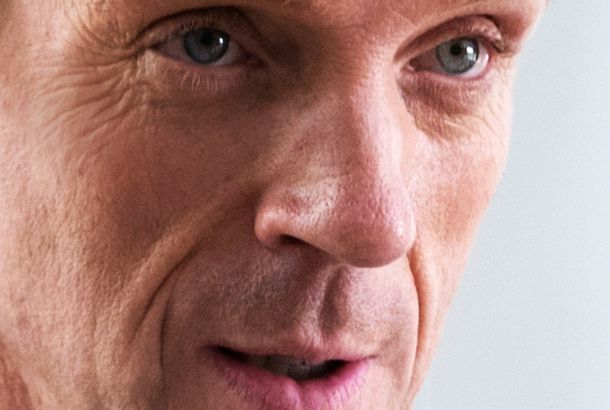 Billions Recap: Gotta Serve Somebody“Magical Thinking” boasts incredible performances from Damian Lewis, Maggie Siff, and Paul Giamatti. Billions Recap: Chess MovesChuck and Axe are more alike than they’d care to admit. Billions Recap: A Question of DecencyIn Malin Akerman’s best episode to date, Billions finally shifts focus to Lara Axelrod. Billions Recap: Doing Bad to Do GoodAxe’s shady 9/11 secrets are finally exposed. Billions Recap: The BojangleDon’t demand things from Chuck Rhoades.